As the festive season fast approaches, Whitsunday Holidays are making a list and checking it twice. Which list? The Top 10 Reasons to Spend Christmas on Hamilton Island. 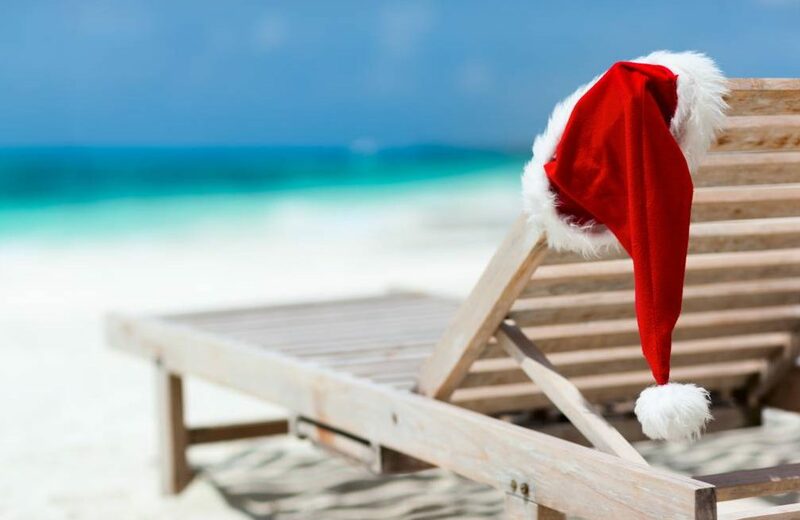 While it was difficult to narrow down with so many fabulous activities and attractions to choose from, we’re sure you’ll agree that Hamilton Island is the ideal location to hang your stocking this Christmas. Imagine waking up on Christmas morning in a tropical island paradise. Where sunshine dances on the crystal Whitsunday waters, and the average December temperature is a balmy 28 degrees. Pack your favourite festive sarong, because a warm Christmas is guaranteed! The Christmas season comes alive on Hamilton Island with the annual Summer Festival featuring a non-stop itinerary of family fun and entertainment. From Carols by Candlelight on Christmas Eve (including a visit from Santa), there’s family fun for everyone from kids to adults. With a Whitsunday Holidays holiday home, villa, or unit, you can really personalise your Christmas – even when you’re on holiday. Equipped with all the comforts you’d expect in your own home, including a fully equipped kitchen, BBQ area, and resort-style facilities, you’re free to deck the halls any way you like, so don’t forget to pack the tinsel! While others are hanging a holly wreath from their door, you’ll be experiencing a reef of a different kind: The Great Barrier Reef! With numerous cruises, tours, and experiences available, exploring the world’s largest coral reef is the ultimate Christmas gift. Relax on your deck with a festive BBQ, order in a platter of fresh local seafood, or head to one of the many quality restaurants for a scrumptious Christmas feast. With many of Hamilton Island’s restaurants putting together amazing Christmas Day menus, and a supermarket and bottle shop on your doorstep – the hardest decision is whether to enjoy Christmas lunch in the tranquility of your holiday home, or be spoiled at a restaurant and let someone else do all the work. Walk off your Christmas indulgence Hamilton Island style! With trails of varying length and ability, a bushwalk is a great way to explore the natural beauty of the island’s flora, fauna, and secluded bays. Had a double serve of pudding? Try the Passage Peak challenge for breathtaking views of the Whitsundays. With seven kilometers of fine, snow white sand framed by turquoise waters, Whitehaven Beach gives a whole new meaning to the term ‘White Christmas’. With half day or full day tours available year-round, a trip to one of the world’s most iconic beaches should be on everyone’s wish list. With its festive atmosphere and communal spirit, Catseye Beach is the perfect backdrop for your Hamilton Island Christmas. Relax on palm-fringed shores with your favourite holiday read while the kids build sandcastles, swim, snorkel, or burn off energy with the many watersports available. While other popular Christmas destinations require arduous travel, spending hours in a car, plane, or both, Hamilton Island offers a convenience like no other. Equipped with its own airport, visitors can fly directly to the island from Brisbane, Sydney or Melbourne. Whitsunday Holidays provide a valet pick-up service direct to your accommodation, meaning less time on the road, and more time to relax. For those carrying their holiday into the New Year, you don’t want to miss the Hamilton Island New Year’s Eve Party, one of the highlights of the Summer Festival calendar. The bars and Marina come alive with bands to keep you dancing into the wee hours, and for those with little ones, Catseye Beach is the place to be with fun activities, and an early fireworks display. Call the friendly Whitsunday Holidays team on 1300 653 997 to secure your accommodation today or view our properties & availability.